Lieutenant Colonel R T Jones, Alabama (Militia) Volunteers, was appointed colonel, 12th Alabama Infantry, on 17 July, 1861. Captain T O'Hara, infantry, Confederate States Army, was on recruiting duty at Mobile, Mobile County, Alabama, on 5 June, 1861, and was ordered to Richmond, Henrico County, Virginia, by Special Orders No.64, Paragraph VII, Adjutant & Inspector General's Office, Richmond, Henrico County, Virginia, on 6 June, 1861. He was assigned to Brigadier General J H Winder, Confederate States Army, at Richmond, Henrico County, Virginia, by Special Orders No.85, Paragraph I, Adjutant & Inspectors General's Office, Richmond, Henrico County, Virginia, on 1 July, 1861, and was appointed lieutenant colonel, 12th Alabama Infantry, on 17 July, 1861. Captain E D Tracy, 4th Alabama Infantry, Company I, was appointed major, 12th Alabama Infantry, on 17 July, 1861, but declined and was apponted lieutenant colonel, 19th Alabama Infantry, on 14 August, 1861 (See the 4th Alabama Infantry). Captain J C Brown, 12th Alabama Infantry, Company D, was appointed major on 9 November, 1861. The company was accepted in Confederate service at Mobile, Mobile County, Alabama, on 4 June, 1861, and was ordered to proceed by the Mobile & Ohio Railroad to Richmond, Henrico County, Virginia, on 8 June, 1861. The company was accepted in Confederate service for the war at Camp Bradford, Coosa County, Alabama, on 17 June, 1861. The company was accepted in Confedearte service for one year at Mobile, Mobile County, Alabama, on 27 May, 1861, and was stationed at Richmond, Henrico County, Virginia, 30 June, 1861. The company was accepted in Confederate service for the war at Coffee County, Alabama, on 23 May, 1861, and was ordered to Richmond, Henrico County, Virginia, by Special Orders No.57, Paragraph I, Adjutant & Inspectors General's Office, Montgomery, Montgomery County, Alabama, the same day. The company was stationed at Richmond, Henrico County, Virginia, on 30 June, 1861, and Captain J C Brown, Coffee County Rangers, was appointed major, 12th Alabama Infantry, on 9 November, 1861. First Lieutenant E Tucker, 12th Alabama Infantry, Company D, was appointed captain on 22 November, 1861. The company was accepted in Confederate service for one year at DeKalb County, Alabama, on 13 June, 1861. The company was accepted in Confederate service for one year at Tuskegee, Macon County, Alabama, 12 June, 1861, and was ordered to Richmond, Henrico County, Virginia, in the evening on 26 June, 1861. The company was accepted in Confederate service for one year at Woodville and Paint Rock, Jackson County, Alabama, on 20 June, 1861, and was ordered to Richmond, Henrico County, Virginia, on 26 June, 1861. The company was assigned to the 12th Alabama Infantry at Richmond, Henrico County, Virginia, on 19 July, 1861. The company was accepted in Confederate service for the war at Decatur, Morgan and Limestone Counties, Alabama, on 8 July, 1861. The company was accepted in Confederate service for one year at Mobile, Mobile County, Alabama, on 8 June, 1861, and was ordered to Richmond, Henrico County, Virginia, on 4 July, 1861. The company was accepted in Confederate service for one year at Auburn, Macon County, Alabama, on 10 July, 1861, and was ordered to Richmond, Henrico County, Virginia, on 20 July, 1861. The company was ordered to proceed by the Virginia Central Railroad to Manassas Junction, Prince William County, Virginia, by Special Orders No.252, Paragraph I, Adjutant & Inspector General's Office, Richmond, Henrico County, Virginia, on 16 August, 1861. Four companies of the 1st Alabama Volunteer Corps, under the command of Colonel D Deadbetter, special aid to Governor A B Moore, were ordered to proceed by the steamer Selma on the Mobile River to seize Mount Vernon Arsenal, Mount Vernon, Washington County, Alabama, at 11 PM on 3 January, 1861, and arrived in the morning on the 4 January, 1861. Seizure of Mount Vernon Arsenal, Mount Vernon, Washington County, Alabama, 4 January, 1861: Captain J L Reno, United States Ordnance, surrendered Mount Vernon Arsenal, Mount Vernon, Washington County, Alabama, in the morning on 4 January, 1861. Note: A detachment of the Washington Light Infantry (30) was stationed at Mount Vernon Arsenal, Mount Vernon, Washington County, Alabama, on 6 January, 1861, and the Mobile Rifles (80) was ordered to proceed by the steamer Cherokee to relive the detachment of the Washington Light Infantry at Mount Vernon Arsenal, Mount Vernon, Washington County, Alabama, at 4 PM on 11 January, 1861. Another company, the 'Macon Confederates,' Capt. Ligon, left here last night, being the third company which has gone from Tuskegee to drive back or cut off the invading foe who dares pollute Southern soil. The 12th Alabama Infantry, Companies A, C, E, F, G, I, and K, were accepted in Confederate service for one year between 27 May and 10 July, 1861, and Companies B, D, and H for the war between 23 May and 8 July, 1861. The Alabama or Mobile Light Dragoons, under the command of Captain T O'Hara, was ordered to proceed by the steamer Oregon on Mobile Bay to Pensacola, Escambia County, Florida, in the evening on 14 January, 1861, and arrived in the evening at the Warrington Navy Yard, east of Warrington, Escambia County, Florida, on 15 January, 1861 (See the 11th Mississipi Infantry). United States Marine Hospital, half a mile west of Warrington, & Fort McRea, Perdido Key, Escambia County, Florida, Colonel T O'Hara, 19 January & 18 February, 1861: The Alabama or Mobile Light Dragoons was stationed at the United States Marine Hospital, half a mile west of Warrington, Escambia County, Florida, as part of Abert's Mississippi & Alabama Infantry on 19 January, 1861, and was stationed at Fort McRea, Perdido Key, Escambia County, Florida, Alabama or Mobile Light Dragoons, on 18 February, 1861. Mobile, Mobile County, to Mount Vernon Arsenal, Mount Vernon, Washington County, Alabama, Company A, 3-4 January, 1861: The Lafayette Guards or Garde Lafayette, 1st Alabama Volunteer Corps, under the command of Captain A Belloc, Jr., was ordered to proceed by the steamer Selma on the Mobile River to seize Mount Vernon Arsenal, Mount Vernon, Washington County, Alabama, at 11 PM on 3 January, 1861, and was accompanied by Washington Light Infantry, and the Mobile Rifles, under the command of the Colonel D Deadbetter, special aid to Governor A B Moore. The company arrived at Mount Vernon Arsenal, Mount Vernon, Washington County, Alabama, in the morning on 4 January, 1861. Mobile, Mobile County, to Fort Morgan, at the mouth of Mobile Bay, opposite Dauphin Island, Mobile County, Alabama, Company B, 3-4 January, 1861: The Independent Rifles, 1st Alabama Volunteer Corps, was ordered to proceed by the steamer Kate Dale to seize Fort Morgan, at the mouth of Mobile Bay, opposite Dauphin Island, Mobile County, Alabama, at 11 PM on 3 January, 1861, and was accompanied by the Mobile Cadets and the Continental State Artillery, 1st Alabama Volunteer Corps, under the command of Colonel J B Todd. The company arrived at Fort Morgan, at the mouth of Mobile Bay, opposite Dauphin Island, Mobile County, Alabama, at 3 AM on the 4 January, 1861 (See the 5th Alabama Infantry). Coosa County, Alabama, to Fort Morgan, at the mouth of Mobile Bay, opposite Dauphin Island, Mobile County, Alabama, Company C, 28 February, 1861: The Coosa Volunteers was stationed at Fort Morgan, at the mouth of Mobile Bay, opposite Dauphin Island, Mobile County, Alabama, on 28 March, 1861 (See the 5th Alabama Infantry). The 12th Alabama Infantry was organised at Richmond, Henrico County, Virginia, by Special Orders No.224, Paragraph VII, Headquarters, Virginia Forces, Richmond, Henrico County, Virginia, on 17 July, 1861. Mustered for one year & the war, Richmond, Henrico County, Virginia, 17 July, 1861: The 12th Alabama Infantry, Companies A, C, E, F, G, I, and K, were mustered in Confederate service for one year at Richmond, Henrico County, Virginia, on 17 July, 1861, and Companies B, D, and H for the war on 17 July, 1861. Richmond, Henrico County, to Manassas Junction, Prince William County, Virginia, 21-22 July, 1861: The 12th Alabama Infantry, Companies A, B, C, D, E, F, G, H, and I, under the command of Lieutenant Colonel T O'Hara, were ordered to proceed by the Virginia Central Railroad to Manassas Junction, Prince William County, Virginia, on 21 July, 1861, and arrived at Camp Pickens, Manassas Junction, Prince William County, Virginia, on 22 July, 1861. Note: The 12th Alabama Infantry, Companies A, B, C, D, E, F, G, H, and I, were assigned to bury the Federal dead on 22 July, 1861. Camp Pickens, Manassas Junction, Prince William County, to Camp Walker, the Orange & Alexandria Railroad, one & a half miles southwest of McLean's Ford, on the Bull Run River, 23 July, 1861: The 12th Alabama Infantry, Companies A, B, C, D, E, F, G, H, and I, under the command of Lieutenant Colonel T O'Hara, arrived at Camp Walker, on the Orange & Alexandria Railroad, one and a half miles southwest of McLean's Ford, on the Bull Run River, on 23 July, 1861. Note: The 12th Alabama Infantry, Company K, was ordered to Manassas Junction, Prince William County, Virginia, on 16 August, 1861, and the 12th Alabama Infantry was stationed at Camp Walker, on the Orange & Alexandria Railroad, one and a half miles southwest of McLean's Ford, on the Bull Run River, between 23 July and 25 August, 1861. Note: The 12th Alabama Infantry was assigned to the Second Brigade, First Corps, Army of the Potomac, by Special Orders No.169, Paragraph I, Headquarters, Army of the Potomac, Camp Pickens, Manassas Junction, Prince William County, Virginia, on 25 July, 1861, on 25 July, 1861. Camp Walker, on the Orange & Alexandria Railroad, one & a half miles southwest of McLean's Ford, on the Bull Run River, to Sangster's or W Elzey's Crossroads, two miles south of Fairfax Station, Fairfax County, Virginia, 25 August, 1861: The 12th Alabama Infantry, under the command of Lieutenant Colonel T O'Hara, arrived at Camp Masked Battery, Sangster's or W Elzey's Crossroads, two miles south of Fairfax Station, Fairfax County, Virginia, on 25 August, 1861. Note: The 12th Alabama Infantry was stationed at Camp Masked Battery, Sangster's or W Elzey's Crossroads, two miles south of Fairfax Station, Fairfax County, Virginia, on 31 August, 1861. Reorganised at Yorktown, York County, Virginia, 28 April, 1862: The 12th Alabama Infantry was reorganised at Yorktown, York County, Virginia, on 28 April, 1862. Surrendered at Appomattox Courthouse, Appomattox County, Virginia, 9 April, 1865: The 12th Alabama Infantry surrendered at Appomattox Courthouse, Appomattox County, Virginia, on 9 April, 1865. Lieutenant Colonel T O'Hara, 12th Alabama Infantry: The Alabama Light Dragoons, under the command of Captain T O'Hara, arrived by the steamer Oregon at Fort San Carlos de Barrancas, one and a half miles east of Warrington, Escambia County, Florida, in the evening on 15 January, 1861 (See the 11th Mississippi Infantry). 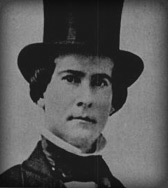 Captain T O'Hara, Alabama Light Dragoons, was discharged by Brigadier General B Bragg, Confederate States Army, on 11 March, 1861, and was appointed captain, infantry, Confederate States Army, on 16 March, 1861. Captain T O'Hara, infantry, Confederate States Army, was assigned to recruiting duty at Vicksburg, Warren County, Mississippi, by General Orders No.6, Adjutant & Inpector General's Office, Montgomery, Montgomery County, Alabama, 22 April, 1861, and was ordered to Richmond, Henrico County, Virginia, in June 1861. He was appointed, lieutenant colonel, 12th Alabama Infantry, at Richmond, Henrico County, Virginia, on 17 July, 1861. Note: The Alabama Light Dragoons and the South Alabama Rangers were stationed at Fort McRee, Perdido Key, Escambia County, Florida, under the command of Captain T O'Hara, Alabama Light Dragoons, on 2 March, 1861. The 12th Alabama Infantry was assigned to the Second Brigade, First Corps, Army of the Potomac, under the command of Brigadier General R S Ewell, by Special Orders No.169, Paragraph I, Headquarters, First Corps, Army of the Potomac, Camp Pickens, Manassas Junction, Prince William County, Virginia, on 25 July, 1861.